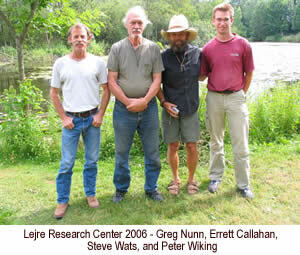 In July of 2006 I traveled to Denmark to revisit the Lejre research center. 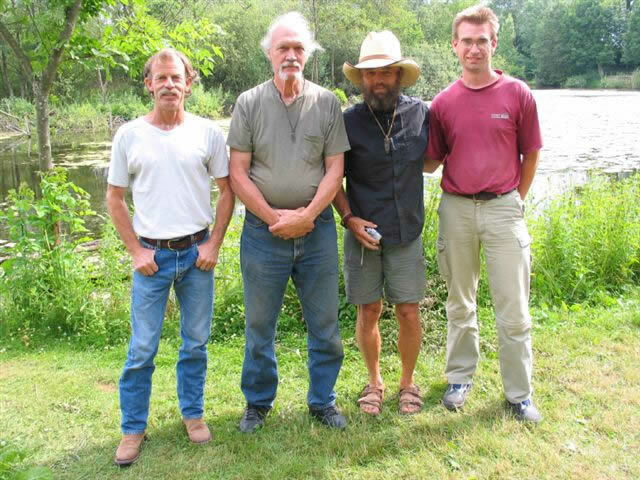 I met there with Dr. Errett Callahan to continue our work on a project concerning the production of the Type IV D late Neolithic Danish dagger. 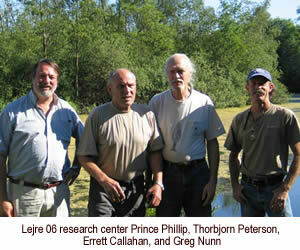 In addition, there were researchers conducting various other experiments concerning Lithic Technology. The group included researchers from Denmark, England, U.S.A. Sweden and Holland. 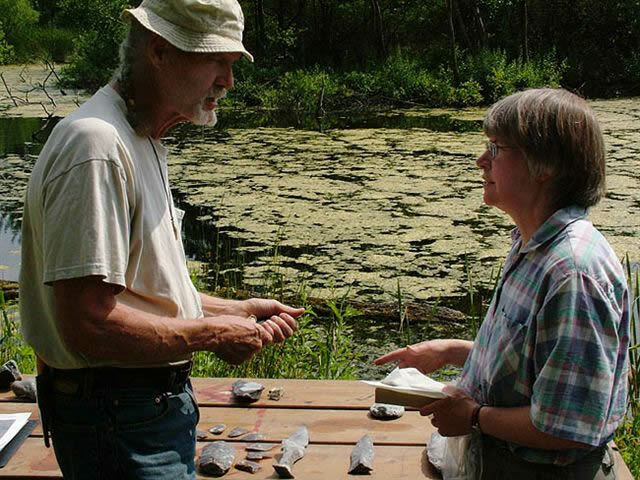 The gathering was part of a Lithic Symposium sponsored by the Lejre Research center. 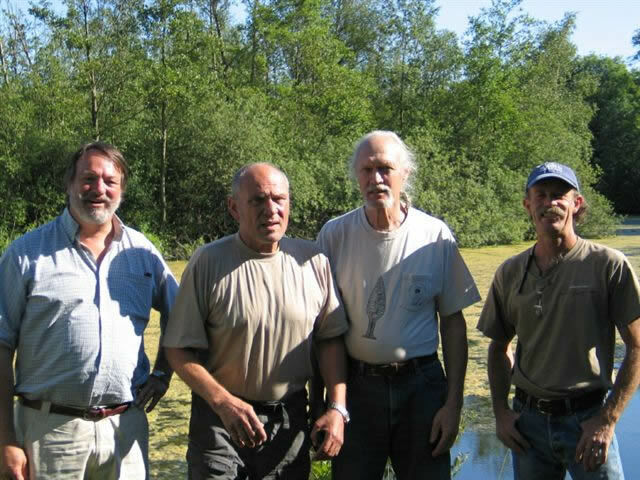 While at Lejre research center we had several visits from Prince Phillip of Denmark (on left), and famous Danish flintknapper Thorbjorn Peterson (second to left). While Thorbjorn was visiting he entertained us by making a flint square axe and demonstrating his blade making techniques. He is truly a master of the craft. After the project was over at Lejre, I went to Moesgaard Museum outside of Aarhus, Denmark to look at flint daggers of various types. I had the luxury to evaluate the Moesgaard museum collection, thanks to the generosity of Danish Archaeologist Dr. Berit Valtine Eriksen (on the right). 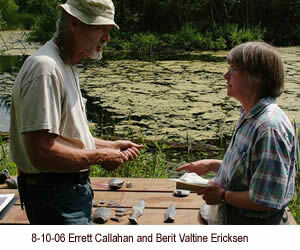 Dr. Eriksen works at the museum and organized the logistics so I would have access to their collection. View several daggers from the museum. 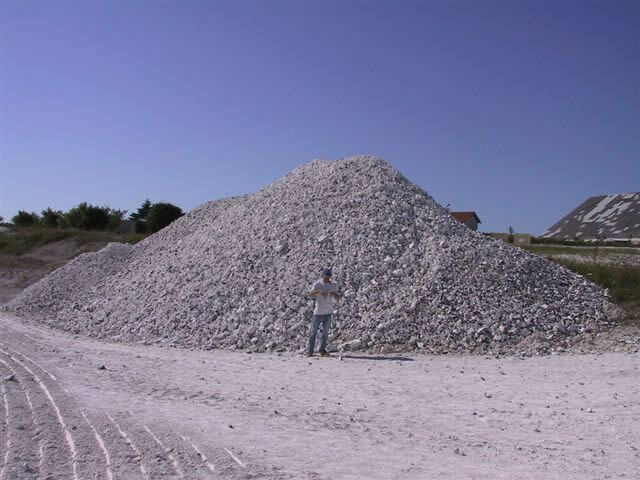 After I completed my examination of the dagger collection, Berit graciously drove me to Jutland (Northern Denmark) where I was able to collect flint from the chalk mines for several days. I had to search far and wide to obtain good dagger flint. 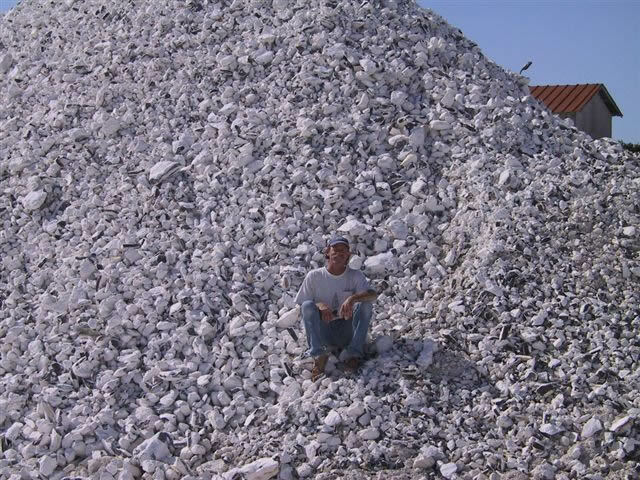 The large flint piles were not too productive. The flint is extremely damaged from chalk mining extraction and frost damage. 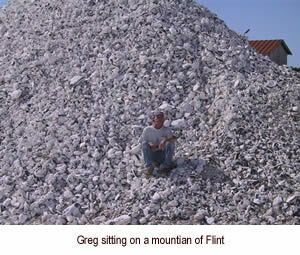 Most of the good flint collected was not from the flint piles. While I was in Jutland I did a flintknapping demonstration at the Heltborg Museum, where 130 people attended to watch me make early Neolithic flint sickles. While I was demonstrating, we had a film crew from the news station filming the process. A clip from this made it on Danish National news. Check it out! With flint collecting complete, and several days left in my trip, Danish archaeologist Torben Sarauw kindly drove me to his house in Hobro where I stayed with he and his family for several days. Torben was researching several Type I Dagger collections that came from caches located within Neolithic flint mines. I had a chance to look at the caches and the area they were found. The daggers were of the ordinary Type IB and were percussion finished. Some of these small daggers, ranging up to 19 cm in length, had very well executed percussion flaking, i.e. with very wide deliberate flake removal that exhibited controlled over shots. Sorry, no pictures of these. I was too tired to take anymore photos. This was a sure sign I had become over-saturated with artifacts, and it was time to come home to the states. To sum it up, it was a great month in Denmark. The archaeology is incredible and a large amount to digest. I am grateful to have opportunities to dive into such an extravaganza. I had a fantastic time; met some wonderful people and had some outstanding meals.